Who needs a plumbing inspection? Everyone! 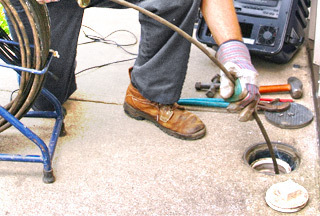 When was the last time that you had your home’s, plumbing inspected? That long huh? We recommend that our clients have their plumbing inspected by a professional once a year, in fact we are so adamant about it that if you’re a Loyalty Member with Robins Plumbing we will come out once a year and perform your home inspection free of charge. Why do we offer this service that is normally 189.00 for free to our Loyal Clients? We want to help our clients avoid costly repairs. Sounds crazy since we are a plumbing company and that’s how we make our income? It isn’t crazy at all, by helping our clients avoid costly repairs we build a loyal client base that is thrilled to refer us to friends and family because they know they can trust us to do a great job and to do the honorable thing. Proper plumbing maintenance can avoid high water bills, avoid flooding and taking care of small plumbing problems stops them from turning into big repairs. We often see small plumbing problems that homeowners don’t notice until it becomes a plumbing emergency. A small leak at an angle stop can turn into a massive flood while you’re at work. A leaking faucet left too long without repairs can damage the valve body making the faucet unrepairable. A water heater leaking out in the garage can be creating massive mold behind your walls which can often mean tens of thousands of dollars in repairs. We are here to help you avoid the worst case scenario by assisting our clients to be proactive with their plumbing needs. It is easy to sign up for our Loyalty Program and even easier to schedule with us to make sure your plumbing is in good working condition. We look forward to hearing from you!